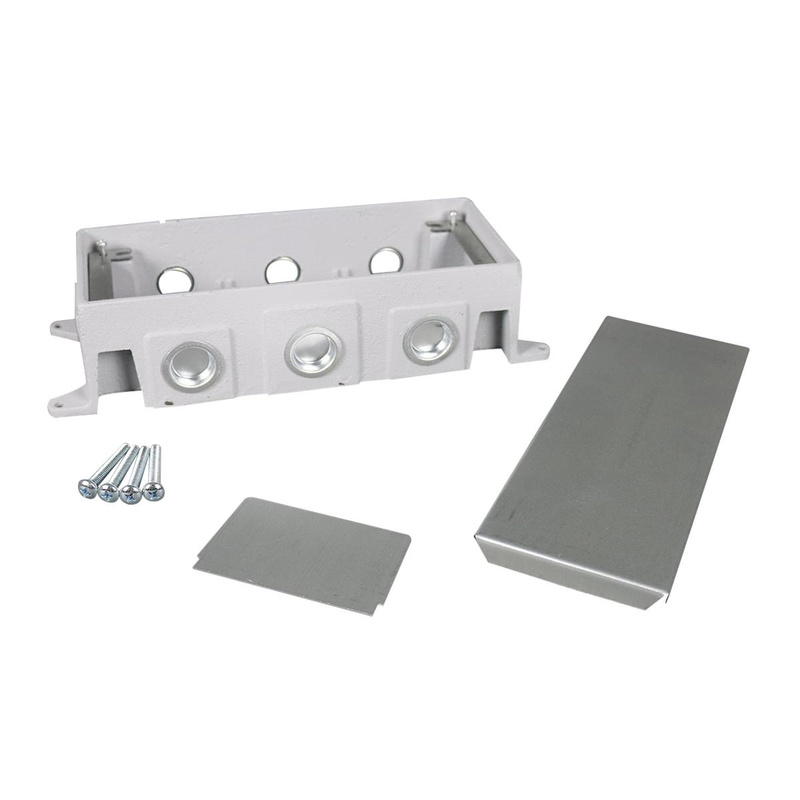 Wiremold OmniBox® 3-Gang Floor box is suitable for schools, financial institutions and commercial office buildings. Multiple service floor box features water-tight cast iron construction. Rectangular floor box measures 12-1/2-Inch x 5-3/16-Inch x 3-7/16-Inch. It has 160-Cubic-Inch capacity. This fully adjustable box ensures TopGuard protection. It has eight 1-Inch conduit knockouts. Floor box is UL listed and CSA certified.